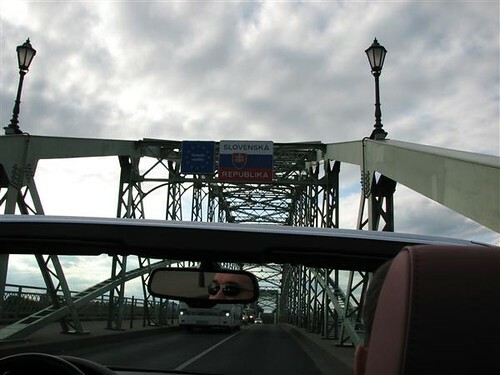 Attila and Magdy invited us to borrow a car and drive in to the Hungarian countryside. The car we borrowed (from a Brother that works in an Audi dealership) turned out to be a new convertible Audi! 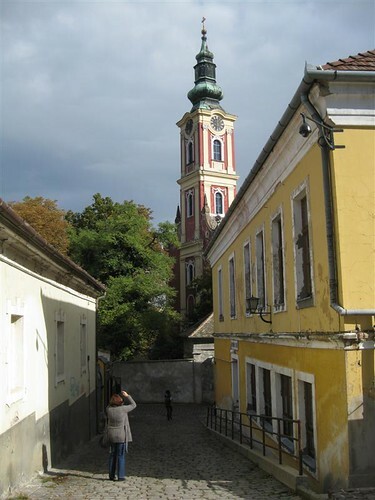 Traveling north we visit a few old towns with ancient tile roofed homes and even older cobble stone roads. Life seemed very slow here but I was surprised by the number of German tourists snapping photos and drinking espresso. That is the cool thing about Europe….drive a few hours and you find yourself two countries over. 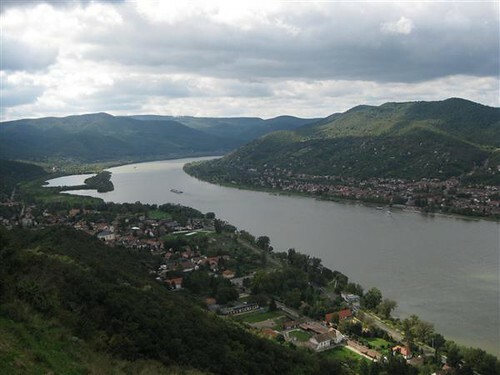 Driving further up North we reached the old Frontier of the Empire and the Danube River. A large well maintained castle was our next stop. This was a important fortification for some king of some kingdom around the year something. I just liked the drawbridge and stone walls. 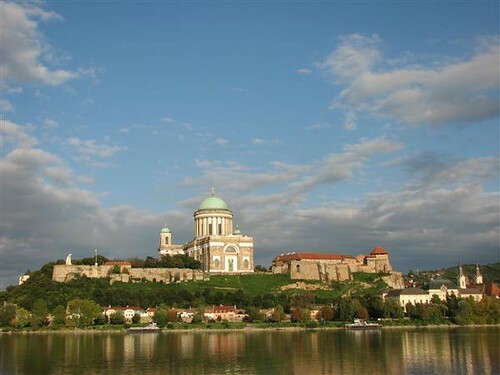 I was able to talk the group into traveling a bit further north so that we could enter the country of Slovakia. Seems like half of these countries around here were not countries when I was learning my geography! Slovakia is a slower, more mellow version of Hungary (from my 90 minute examination) but has some strange laws. 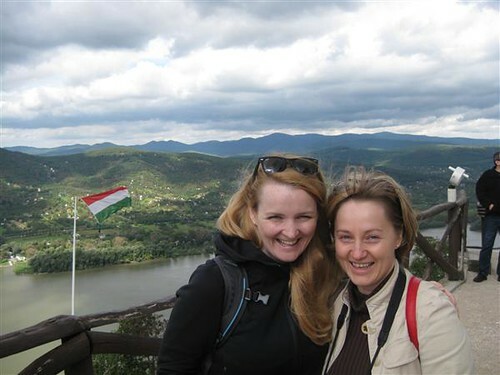 It is illegal to speak Hungarian here….good thing I barely know English. We got some ice-cream and headed back. It was so fun to hang out with our Friends. Our upbringing was so different but we still have so much in common. What great people! 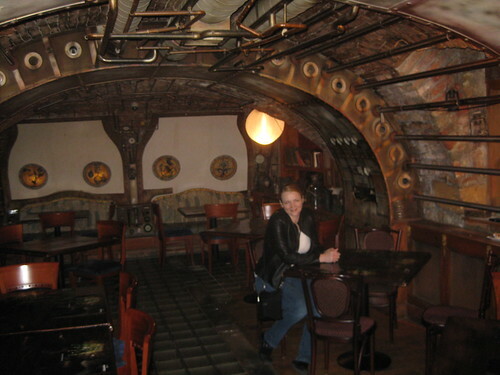 Back in Budapest, Tamara and I went to have lunch in a Jules Verne themed restaurant. He is one the first authors I remember seeking out when I was a kid. I have yet to see anything like this place. A complex door takes you down into the Nautilus from “20,000 leagues under the sea” (1870). 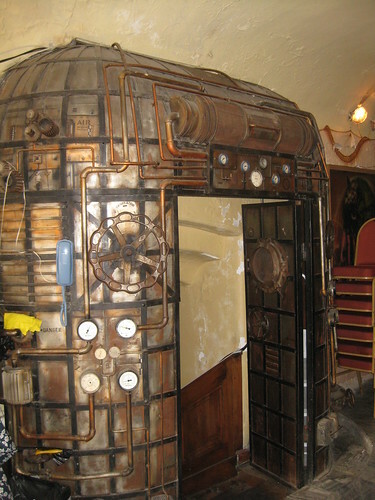 The steampunk décor was wonderful making you feel like you were really in the story….and the Hungarian food was good but the beer was better. 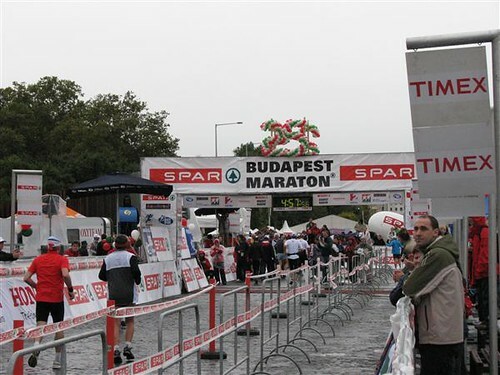 Tamara had some ulterior motives for wanting to visit Budapest and this was because of the 2500 year anniversary of the original “Marathon” (in Greece) celebrated here at the Budapest Marathon. 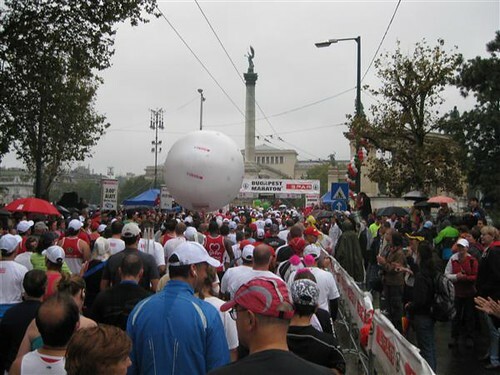 It had 15,000 runners but only 3000 (including Tamara) were running the entire 26 miles. 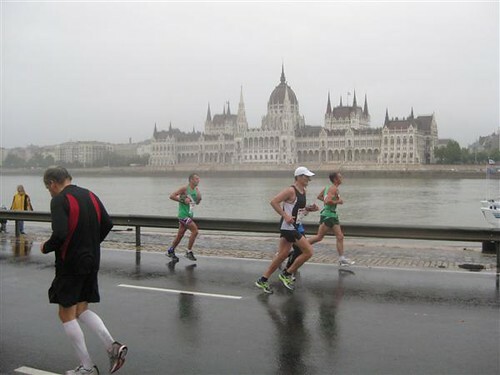 The weather has been wonderful for us the entire trip but today it decided to punish the marathonistas with rain and stiff wind. Some people dressed up in costumes, the Rubic’s Cube was my favorite. 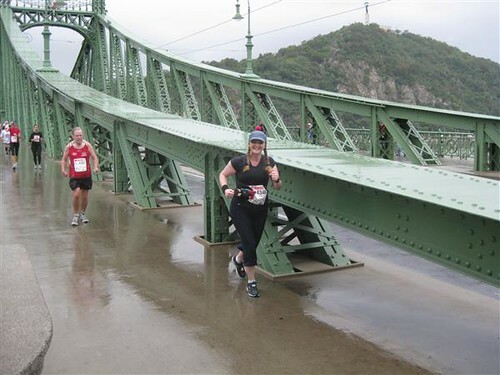 The route took the runners past the many celebrated buildings and structures of Budapest, including the amazing Chain Bridge. In the end, Tamara won…with a time somewhere around 4 hours and 47 minutes. She was a bit sore but we were still able to walk around a few museums the next day; Tough Woman! 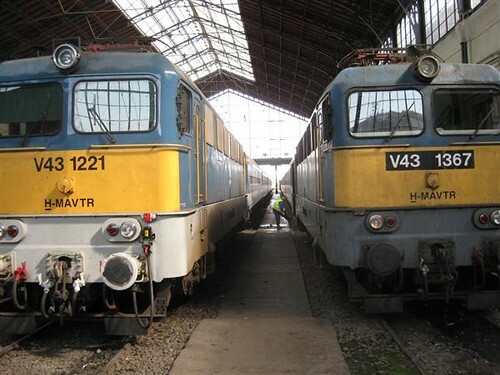 OK…..our time as ended in Hungary…..time to catch a train…. Next update from Croatia! A unique title for a unique race. This little half-marathon had a few firsts for me. First time I’ve ever ran, what felt like, half a race uphill. First time I’ve ever worn a “Team something” shirt. Thank you Lange Winery for the free tech shirt. Here is a short slide show of my race day. A shout out to Frank for letting my use his song. Thank you! Track is Sweet Validation by Old Axis. Available in iTunes.